The Kelowna film showing was very special. It was great to reconnect with so many old friends from our activist work many years ago in Kelowna. 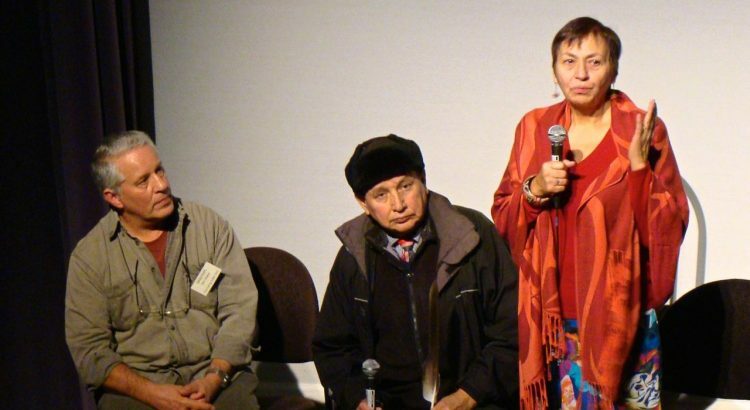 After the screening, Joan Phillip and Grand Chief Stewart Phillip spoke eloquently about their long experience in social justice and environmental activism. I had the honour of thanking them for their many years of dedication to this important work. Joan and Stewart spoke of the need to stand up and speak out to protect the health of people and the earth and how important this action was for future generations. They spoke of their history of commitment, not just in speaking out, but in taking action, and for the necessity even, of being arrested, if need be. They spoke of how our society is very polite, but that we must seriously consider stronger stands as appropriate actions in resistance to the destructive consequences of corporate damage to our living space. They also spoke of how leading politicians say one thing to get elected, but then facilitate the corporate agenda afterwards, as in Prime Minister Trudeau’s unfulfilled promises. 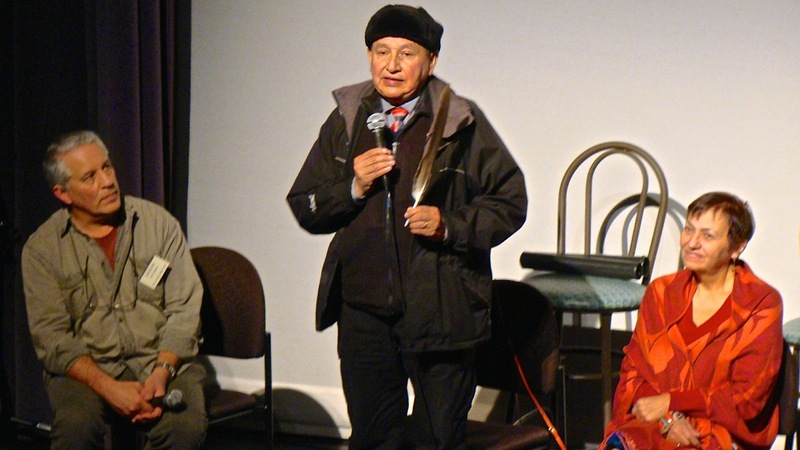 After they spoke, Joan Phillip and Grand Chief Stewart Phillip received a standing ovation from the one hundred and seventy people in the audience. I’d like to thank all the people who came out, the volunteers who helped out, and the Council of Canadians, (Kelowna Chapter) for sponsoring this special screening, and to Karen Abramsen for being the MC.